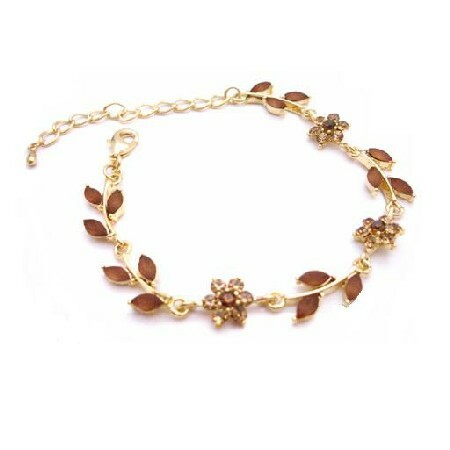 Dainty Sleek Stylish Fashionable Bracelet Metal Gold with Smoked Topaz Flower encrusted with Smoked Topaz crystals & enamel leaves enamel gorgeous for all occasion. You will love this beautiful bracelet with high quality of enamel. This handcrafted bracelet is strung on good quality. This Bracelet Delve into a World of Glamour.